Starter plan: autoscaling is pre-defined according to the formula above and the resources (RAM, CPU, Storage) are adjustable through itopia VM Instances module if you disable autoscaling. 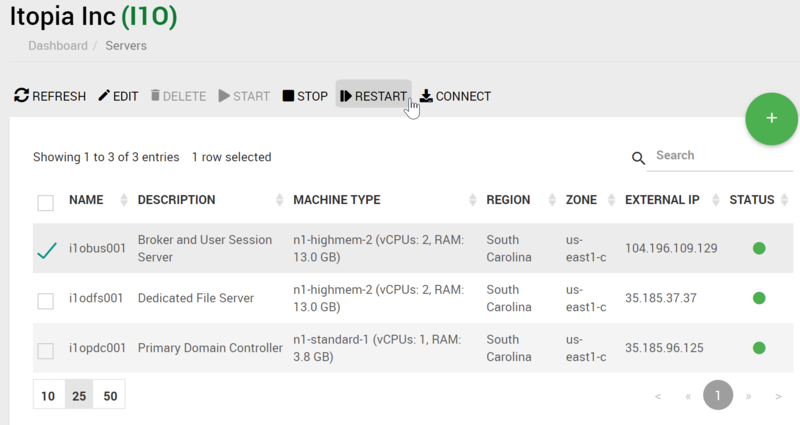 A great way how to manage your VM instances utilization is scheduling server uptime. Regardless of the schedule, you can turn VM instances on and off whenever you need from itopia. You have the option to delete only app servers since deleting other servers will cause the environment to stop working correctly. Please contact support if you need deleting other servers. Edit window will open where you can change VM instance parameters such as VM Instance type, Firewall ports, or add new disk. You may need to change the VM Instance type to increase the resources (RAM, CPU). Select the VM instance from the drop - down list or select "Custom" if none of the VM instance types matches your requirements. With Custom configuration you can allocate as much RAM and CPU as needed. After the VM Instance type is changed, the VM instance needs to be rebooted in order for the changes to apply. To add a new disk, define the disk size and disk type first and then click on the + sign on the right to add the disk to the VM instance. Click the pencil icon next to the existing disk to change the storage size. 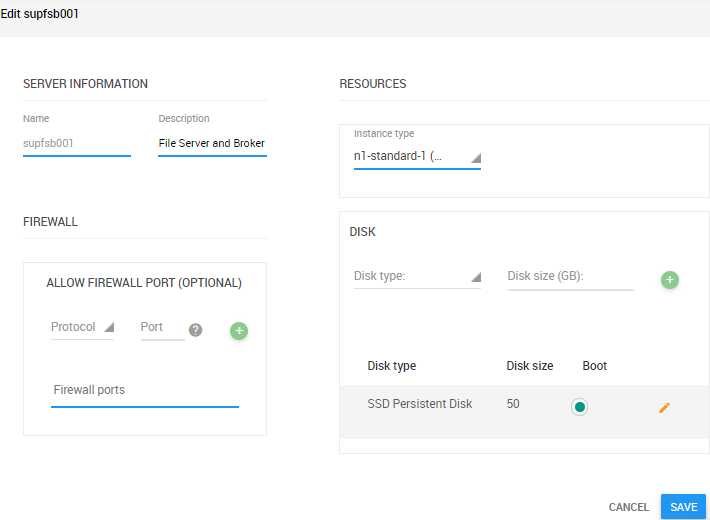 In Allow Firewall Port section you can specify ports to be open for the VM instance. Port should be added only in case external access to the server is needed. You can add as many ports as needed clicking on the + sign. By default the only ports open are 3389, 22 and icmp requests are allowed. Http and https, 80/443 are only allowed if it's selected during the VM instances creation.